Beattie, M.C. (2001). Meta-analysis of social relationships and post-treatment drinking outcomes: comparison of relationship structure, function and quality. Journal of Studies on Alcohol, 62, 518-527. Beck, A.T., Wright, A.T., Newman, C.F. & Liese, B.S. (1993). Cognitive Therapy of Substance Abuse. New York NY: Guilford. Bennett, G. A., Edwards, S. & Bailey, J. (2002). Helping methadone patients who drink excessively to drink less: short-term outcomes of a pilot motivational intervention. Journal of Substance Use, 7, 191-197. Bien, T.H., Miller, W.R. & Boroughs, J. (1993). Motivational interviewing with alcohol outpatients. Behavioural and Cognitive Psychotherapy, 21, 347-356. Bien, T. H., Miller, W. R., & Tonigan, J. S. (1993). Brief interventions for alcohol problems: A review. Addiction, 88, 315-335. Bigelow, G. (2001). An operant behavioural perspective on alcohol abuse and dependence. In N. Heather, T.J. Peters & T. Stockwell (eds), International Handbook of Alcohol Dependence and Problems (pp. 299-316). Chichester: John Wiley. Breslin, F.C., Sobell, M.B., Sobell, L.C. et al. (1997). Toward a stepped care approach to treating problem drinkers: The predictive utility of within-treatment variables and therapist prognostic ratings. Addiction, 92, 1479-1489. Brewer, C. (ed.) (1993). Treatment Options in Addiction: Medical Management of Alcohol and Opiate Abuse. London: Gaskell. Brown, J. M. & Miller, W. R. (1993). Impact of motivational interviewing on participation and outcome in residential alcoholism treatment. Psychology of Addictive Behaviors, 7, 211-218. Chick, J. (2003). Pharmacological treatments. In N. Heather & T. Stockwell (eds), Essential Handbook of Treatment and Prevention of Alcohol Problems (pp. 53-68). Chichester: John Wiley. Cisler, R., Holder, H.D., Longabaugh, R. et al. (1998). Actual and estimated replication costs for alcohol treatment modalities: case study from Project MATCH. Journal of Studies on Alcohol, 50, 503-512. Copello, A., Orford, J., Hodgson, R. et al. (2002). Social behaviour and network therapy: Basic principles and early experiences. Addictive Behaviors, 27, 354-366. Dunn, C., Deroo, L. & Rivara, F.P. (2001). The use of brief interventions adapted from motivational interviewing across behavioural domains: a systematic review. Addiction, 96, 17251742. Emrick, C.D. (2003). Alcoholics Anonymous and other mutual aid groups. In N. Heather & T. Stockwell (eds), Essential Handbook of Treatment and Prevention of Alcohol Problems. Chichester: John Wiley. Ettore, E.M. (1984). A study of alcoholism treatment units: Treatment activities and the institutional response. Alcohol and Alcoholism, 19, 243-255. Ettore, E.M. (1988). A follow-up study of alcoholism treatment units: Exploring consolidation and change. British Journal of Addiction, 83, 57-65. Finney, J.W. (2000). Limitations in using existing alcohol treatment trials to develop practice guidelines. Addiction, 95, 1491-1500. Finney, J.W., Hahn, A.C. & Moos, R.H. (1996). The effectiveness of inpatient and outpatient treatment for alcohol abuse: The need to focus on mediators and moderators of setting effects. Addiction, 91, 1773-1796. Forrest, G.G. (1985). Psychodynamically-oriented treatment of alcoholism and substance abuse. In T.E. Bratter & G.G. Forrest (eds), Alcoholism and Substance Abuse: Strategies for Clinical Intervention (pp. 307-336). New York: Free Press. Galanter, M. (1993). Network Therapy for Alcohol and Drug Abuse: A New Approach in Practice. New York: Basic Books. Gentilello, L.M., Rivara, F.P., Donovan, D.M. et al. (1999). Alcohol interventions in a trauma center as a means of reducing the risk of injury recurrence. Annals of Surgery, 230, 473480. Heather, N. (2003). Brief interventions. In N. Heather & T. Stockwell (eds), Essential Handbook Treatment and Prevention of Alcohol Problems (pp. 117-138). Chichester: John Wiley. Heather, N. & Kaner, E. (2003). Brief interventions against excessive alcohol consumption. In D.A. Warrell, T.M. Cox, J.D. Firth with E.J. Benz Jr. (eds), Oxford Textbook of Medicine, Vol. 3 (4th edn) (pp. 1334-1337). Oxford: Oxford Medical Publications. Hester, R.K. (1995). Behavioral self-control training. In R.K. Hester & W.R. Miller (eds), Handbook of Alcoholism Treatment Approaches: Effective Alternatives (2nd edn) (pp. 148-159). Boston MA: Allyn & Bacon. Holder, H. D., Cisler, R. A., Longabaugh, R. et al. (2000). Alcoholism treatment and medical care costs from Project MATCH. Addiction, 95, 999-1013. Hulse, G.K. & Tait, R.J. (2002). Six-month outcomes associated with a brief alcohol intervention for adult in-patients with psychiatric disorders. Drug and Alcohol Review, 21, 105-112. Humphreys, K. (2004). Circles of Recovery: Self-help Organisations for Addictions. Cambridge: Cambridge University Press. Institute of Medicine (1990).Broadening the Base of Treatment for Alcohol Problems. Washington, DC: National Academy Press. Israel, Y., Hollander, O., Sanchez-Craig, M. et al. (1996). Screening for problem drinking and counseling by the primary care physician-nurse team. Alcoholism: Clinical and Experimental Research, 20, 1443-1450. Kadden, R.P., Carroll, K., Donovan, D. et al. (1992). Cognitive-behavioral Coping Skills Therapy: A Clinical Research Guide for Therapists Treating Individuals with Alcohol Abuse and Dependence, Project MATCH Monograph Series, vol. 3, DHHS Pub. No. (ADM) 92-1895. Washington DC: Department of Health & Human Services. Kaskutas, L.A., Bond, J. & Keith, H. (2002). Social networks as mediators of the effect of Alcoholics Anonymous. Addiction, 97, 891-900. Keane, T.M., Foy, D.W., Nunn, B. & Rychtarik, R.G. (1984). Spouse contracting to increase antabuse compliance in alcoholic veterans. Journal of Clinical Psychology, 40, 340-344. Longabaugh, R., Woolard, R.F., Nirenberg, T.D. et al. (2001). Evaluating the effects of a brief motivational intervention for injured drinkers in the emergency department. Journal of Studies on Alcohol, 62, 806-816. Luborksy, L., Crits-Cristoph, P., McLellan, A.T. etal. (1986). Do therapists vary much in their success? Findings from four outcome studies. American Journal of Orthopsychiatry, 56, 501-512. Luce, A., Heather, N. & McCarthy, S. (2000). National census of UK alcohol treatment agencies: I. Characteristics of clients, treatment and treatment providers. Journal of Substance Use, 5,112-121. Marlatt, G.A., Baer, J.S., Kivlahan, D.R. et al. (1998). Screening and brief intervention for high-risk college student drinkers: results from a 2-year follow-up assessment. Journal of Consulting and Clinical Psychology, 66, 604-615. McCrady, B.S., Stout, R.L., Noel, N.E. et al. (1991). Comparative effectiveness of three types of spouse-involved behavioural alcoholism treatment: Outcomes 18 months after treatment. British Journal of Addiction, 86, 1415-1424. Miller, W., Benefield, R. & Tonigan, S. (1993). Enhancing motivation for change in problem drinking: a controlled comparison of two therapeutic styles. Journal of Consulting and Clinical Psychology, 61, 455-461. Miller, W.R. (1983). Motivational interviewing with problem drinkers. Behavioural Psychotherapy, 11, 147-172. Miller, W.R. (1986). 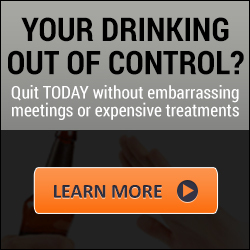 The effectiveness of alcoholism treatment: What research reveals. In W.R. Miller & N. Heather (eds), Treating Addictive Behaviours: Processes of Change (pp. 121-174). New York: Plenum Press. Miller, W.R. & Hester, R.K. (1986). Inpatient alcoholism treatment: Who benefits? American Psychologist, 41, 794-805. Miller, W.R. & Rollnick, S. (1991). Motivational Interviewing: Preparing People to Change Addictive Behavior. New York: Guilford. Miller, W.R., & Rollnick, S. (2002). Motivational Interviewing: Preparing People for Change (2nd edn). New York: Guilford. Miller, W.R., Sovereign, R.G. & Krege, B. (1988). Motivational interviewing with problem drinkers: II the drinkers check-up as a preventive intervention. Behavioural Psychotherapy, 16, 251-268. Miller, W.R., Taylor, C.A. & West, J.C. (1980). 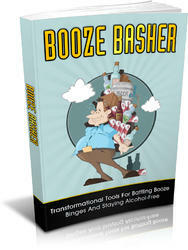 Focused versus broad spectrum behavior therapy for problem drinkers. Journal of Consulting and Clinical Psychology, 48, 590-601. Miller, W.R., Wilbourne, P.L. & Hettema, J.E. (2003). What works? A summary of alcohol treatment outcome research. In R.K. Hester & W.R. Miller (eds), Handbook of Alcoholism Treatment Approaches: Effective Alternatives (3rd edn) (pp. 13-63). Boston, MA: Allyn & Bacon. Miller, W.R., Zweben, A., DiClemente, C. & Rychtarik, R. (1992). Motivational Enhancement Therapy: A Clinical Research Guide for Therapists Treating Individuals with Alcohol Abuse and Dependence. Project MATCH Monograph Series, vol. 2, DHHS Pub. No. (ADM) 92-1894. Washington DC: Department of Health & Human Services. Monti, P.M., Colby, S.M., Barnett, N.P. et al. (1999). Brief intervention for harm reduction with alcohol-positive older adolescents in a hospital emergency department. Journal ofConsulting and Clinical Psychology, 67, 989-994. Monti, P.M., Rohsenow, D.J., Colby, S.M. & Abrams, D.BV. (1995). Coping and social skills training. In R.K. Hester & W.R. Miller (eds), Handbook of Alcoholism Treatment Approaches: Effective Alternatives (2nd edn) (pp. 221-241). Boston, MA: Allyn & Bacon. Moyer, A., Finney, J., Swearingen, C. & Vergun, P. (2002). Brief interventions for alcohol problems: A meta-analytic review of controlled investigations in treatment-seeking and non-treatment seeking populations. Addiction, 97, 279-292. Myers, R.J. & Miller, W.R. (eds) (2001). A Community Reinforcement Approach to Addiction Treatment. Cambridge: Cambridge University Press. Noonan, W.C. & Moyers, T.B. (1997). Motivational interviewing. Journal of Substance Misuse, 2, 8-16. Nowinski, J., Baker, S. & Carroll, K. (1992). Twelve Step Facilitation Therapy: A Clinical Research Guide for Therapists Treating Individuals with Alcohol Abuse and Dependence, Project MATCH Monograph Series, vol. 1, DHHS Pub. No. (ADM) 92-1893. Washington DC: Department of Health and Human Services. Oei, T.P.S. & Jackson, P. (1980). Long term effects of group and individual social skills training with alcoholics. Addictive Behaviors, 5, 129-136. O'Farrell, T.J. (ed.) (1993). Treating Alcohol Problems: Marital and Family Interventions. New York: Guilford. O'Malley, S.S. (1996). Six month follow-up of naltrexone and psychotherapy for alcohol dependence. Archives of General Psychiatry, 53, 217-224. Parks, G.A., Anderson, B.K. & Marlatt, G.A. (2003). Relapse prevention therapy. In N. Heather & T. Stockwell (eds), Essential Handbook of Treatment and Prevention of Alcohol Problems (pp. 87-104). Chichester: John Wiley. Parks, G.A., Marlatt, G.A. & Anderson, B.K. (2003). Cognitive-behavioural alcohol treatment. In N. Heather & T. Stockwell (eds), Essential Handbook of Treatment and Prevention of Alcohol Problems (pp. 69-86). Chichester: John Wiley. Project MATCH Research Group (1997a). Matching alcoholism treatment to client heterogeneity: Project MATCH posttreatment drinking outcomes. Journal of Studies on Alcohol, 58, 7-29. Project MATCH Research Group (1997b). Project MATCH secondary a priori hypotheses. Addiction, 92, 1671-1698. Project MATCH Research Group (1998a). Matching alcoholism treatments to client heterogeneity: project MATCH three-year drinking outcomes. Alcoholism: Experimental and Clinical Research, 22, 1300-1311. Project MATCH Research Group, P. M. R. (1998b). Therapist effects in three treatments for alcohol problems. Psychotherapy Research, 8, 455-474. Rimmele, C.T., Howard, M.O. & Hilfrink, M.L. (1995). Aversion therapies. In R.K. Hester & W.R. Miller (eds), Handbook of Alcoholism Treatment Approaches: Effective Alternatives (2nd edn) (pp. 134-147). Boston, MA: Allyn & Bacon. Rogers, C.R. (1951). Client-centred Therapy. Boston, MA: Houghton Mifflin. Rollnick, S. & Allison, J. (2003). Motivational interviewing. In N. Heather & T. Stockwell (eds), Essential Handbook of Treatment and Prevention of Alcohol Problems (pp. 105-115). Chichester: John Wiley. Rollnick, S. & Miller, W.R. (1995). What is motivational interviewing? Behavioural and Cognitive Psychotherapy, 23, 325-334. Sellman, J.D., Sullivan, P.F., Dore, G.M., et al. (2001). A randomised controlled trial of Motivational Enhancement Therapy (MET) for mild to moderate alcohol dependence. Journal of Studies on Alcohol, 62, 389-396. Smith, A. J., Hodgson, R. J., Bridgeman K. & Shepherd, J.P. (2003). A randomised controlled trial of a brief intervention after alcohol-related facial injury. Addiction, 98, 43-52. Smith, J.E. & Myers, R.J. (1995). The community reinforcement approach. In R.K. Hester & W.R. Miller (eds), Handbook of Alcoholism Treatment Approaches: Effective Alternatives (2nd edn) (pp. 251-266). Boston, MA: Allyn & Bacon. Sobell, M.B. & Sobell, L.C. (2000). Stepped care as a heuristic approach to the treatment of alcohol problems. Journal of Consulting and Clinical Psychology, 68, 573-579. Stein, M.D., Charuvastra, A., Maksad, J. & Anderson, B.J. (2002). A randomised trial of a brief alcohol intervention for needle exchangers (BRAINE). Addiction, 97, 691-700. UKATT Research Team (2001). United Kingdom Alcohol Treatment Trial: hypotheses, design and methods. Alcohol and Alcoholism, 36, 11-21. UKATT Research Team (2005a). Effectiveness of treatment for alcohal problems: findings of the randomised UK Alcohol Treatment Trial (UKATT). British Medical Journal, 351, 541-544. UKATT Research Team (2005b). Cost-effectiveness of treatment for alcohol problems: findings of the randomised UK Alcohol Treatment Trial (UKATT). British Medical Journal, 351, 544-548. Valle, S.K. (1981). Interpersonal functioning of alcoholism counsellors and treatment outcome. Journal of Studies on Alcohol, 42, 783-790. Volpicelli, J.R., Alterman, A.I., Hayashida, M. & O'Brien, C.P. (1992). Naltrexone in the treatment of alcohol dependence. Archives of General Psychiatry, 49, 876-880. Weisner, C., Matzger, H. & Kaskutas, L.A. (2003). How important is treatment? One-year outcomes of treated and untreated alcohol-dependent individuals. Addiction, 98, 901-911. Zywiak, W.H., Longabaugh, R. & Wirtz, P.W. (2002). Decomposing the relationships between pre-treatment social network characteristics and alcohol treatment outcome. Journal of Studies on Alcohol, 63, 114-121.